Just south of Glacier National Park is the vast Bob Marshall Wilderness complex, a jumbled region of rugged peaks, expansive dense forest, wild valleys, and profuse populations of elk, bighorn sheep, mountain goat, grizzly, and much more. Larger and wilder than Glacier, scenery here is big and ruggedly spectacular. 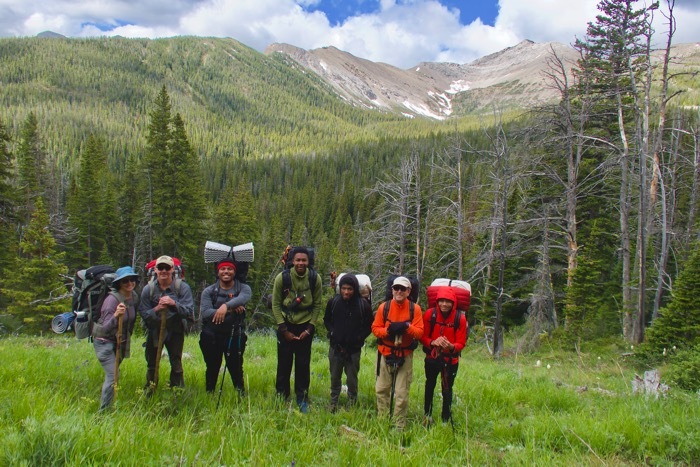 We’ll explore forests, glacial valleys, high basins, and soaring peaks and ridges adjacent to the Continental Divide, in the dramatic Front Range, where the high peaks meet the Great Plains—a spectacular display of the tectonic forces that created the Rocky Mountains. We’ll be in the Lewis and Clark National Forest portion of the iconic Bob Marshall Wilderness. This trip fairly strenuous and its base is Great Falls, Montana. This is a new version of an old trip, just a few miles from the “Rocky Mountain Front” trek that we used to run until a large intense forest fire burned through much of our old route. 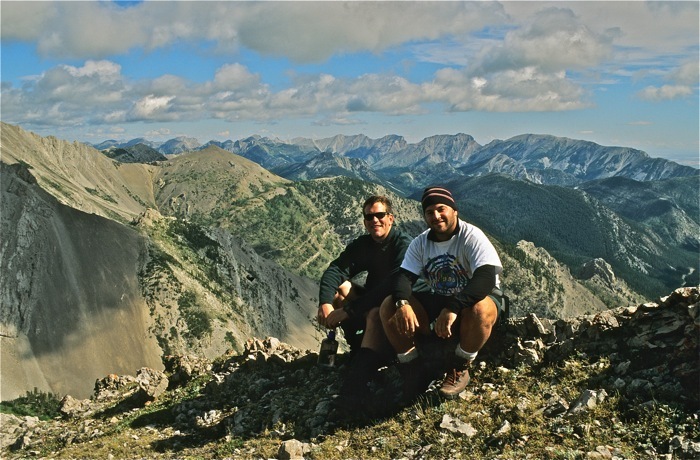 Our treks are on the east slope of the Northern Rockies, and the Bob Marshall Wilderness is one of the largest chunks of wild country in the U.S. south of Alaska. This is sacred land for the Blackfoot Indians. In years when there’s not too much snow on the high passes, we’ll get right up to the Continental Divide. TREK BASE: O’Haire Motor Inn, 7th Street and 1st Ave. South, Great Falls, MT (800) 332-9819. MEETING TIME: Pre-trip orientation plus food/gear handout and safety talk at 6 pm the evening prior to the first day of the trip, at the O’Haire Motor Inn. TRANSPORTATION: Air Service to Great Falls. Call motel in advance for airport shuttle. TREK RATING: Fairly strenuous. Rugged country with ups and downs; a day or 2 at 8-9 miles. Because we do this trek early in the season, we vary the route to reflect snow conditions in the higher areas. ELEVATIONS: 5,000-8,000 feet with higher day-hikes optional. Maximum daily elevation gain with backpack is about 2,000’. WEATHER: Typically sunny with brief afternoon thunderstorms, warm days (70’s) and cool nights, but radical and sudden changes in weather do occur, and we must be prepared for anything! View the National Weather Service forecast. 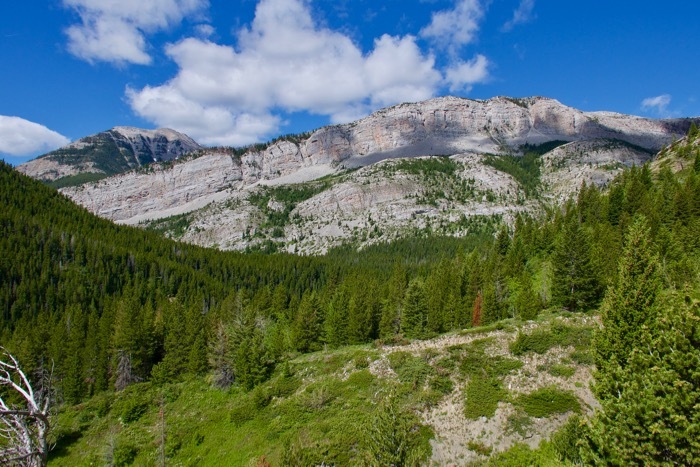 SPECIAL FEATURES: Very rugged and spectacular limestone peaks near where the prairie gives way to the Rockies. Extensive dense forests, beautiful meadows and lots of wildlife including grizzlies, wolves, mountain goat, elk and more. “The Front”, where the sky-scraping mountains rise above the high plains, is arguably the wildest and most spectacular part of the world-class Bob Marshall Wilderness Complex. It is truly wild and absolutely breathtaking! SPECIAL TIPS: This is grizzly country, so eschew deodorants and other sweet smelly substances! CONSERVATION: Conservationists are working to add additional unprotected areas to “The Bob”. The Bob Marshall Wilderness is one of our nation’s true iconic wilderness areas, named after the late great wilderness conservationist Robert Marshall. ITINERARY: This is primarily a loop trip, with some backtracking at the beginning and the end, about a 2 hour drive from Great Falls. There will be at least one layover with great day-hiking opportunities. We’ll be just south of Glacier National Park, and adjacent to the Blackfeet Indian Reservation. The specifics may vary depending upon conditions such as stream crossings, snow on passes, etc. 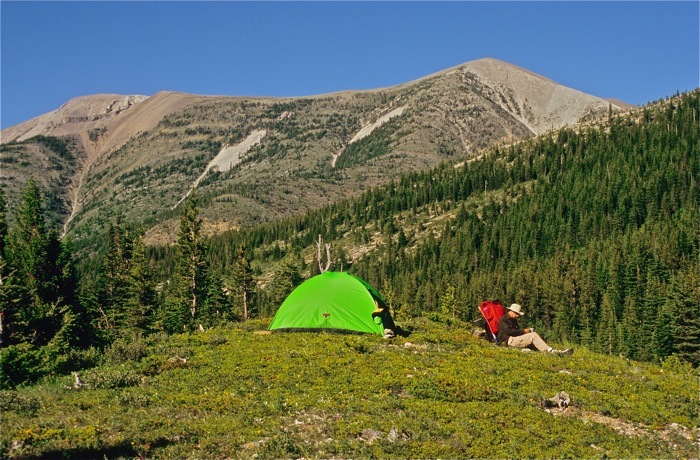 Return to our main Montana backpacking page to peruse additional trip options.